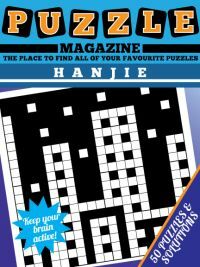 Our ABC Logic puzzle magazine has 52 brand new ABC puzzles and ABCD puzzles for you to enjoy. 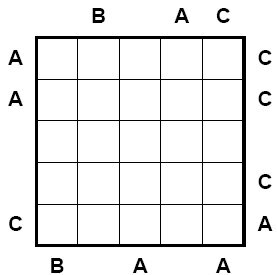 ABCD puzzles work in the same way as the ABC ones that we'll work through here, but are on a 6x6 grid with an additional letter, D, to place but all the same rules apply. 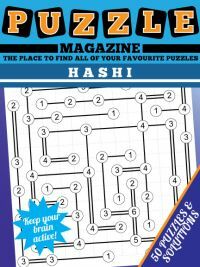 If you've not played ABC puzzles before, then this work through shows you the sort of logic that you can use to solve these fun little logic puzzles. Take a look at the grid to the right. The first thing you see is that some rows and columns have letters at the start/end of them. These tell you that letter is the first you'll encounter (or the last if at the end of a row/column) in that region. 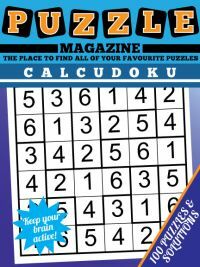 If there are no letters at the start/end of a column, then you will have to work it out based on the rule that each row has A,B,C and two blanks precisely. How do we start with this logic puzzle? The most systematic way is to go through and mark each cell with A,B,C, and 'X' which we will here use to denote a blank since a space ' ' isn't that useful online. The fourth cell must be a blank, because it can only be an 'A' or blank from the fact that there is an 'A' at the top of column four, and we know that the first cell in the column can't be an 'A' because there is an 'A' at the start of row one. This cross-referencing between values is the key to solving the puzzle. 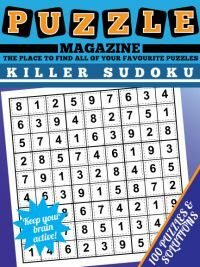 As soon as we start placing values in an ABC puzzle we can then start to use sudoku logic to eliminate those values from other cells in the same row and column and progress from there. 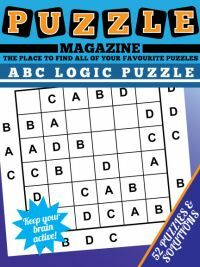 Now download the ABC Logic puzzle magazine and enjoy 52 brand new ABC logic puzzles, including ABC and ABCD puzzles!